Rescuers named him Timber — and he's very safe now. 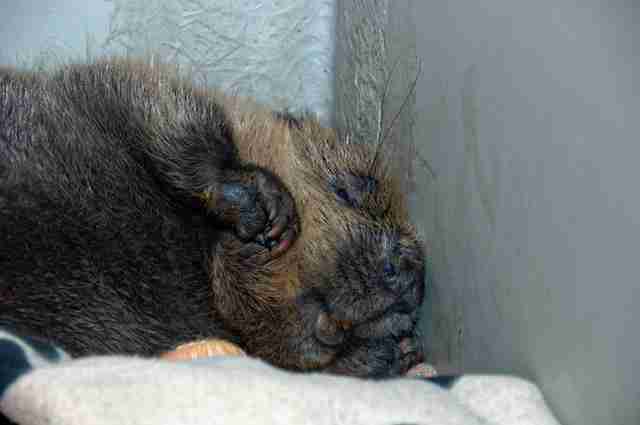 When a baby beaver left his lodge at just 10 weeks old, likely for the very first time ever, he ran into a little bit of trouble. He met a dog who decided to catch him and bring him back to her owner. 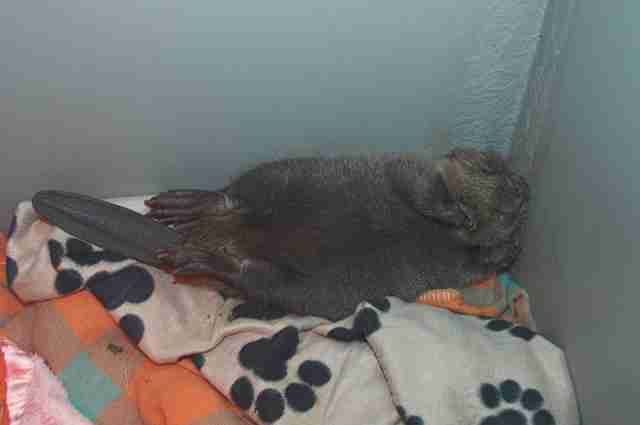 When the dog’s owner saw the baby beaver, injured and alone, she immediately called a rescue organization to see if it could help correct her dog’s mistake. 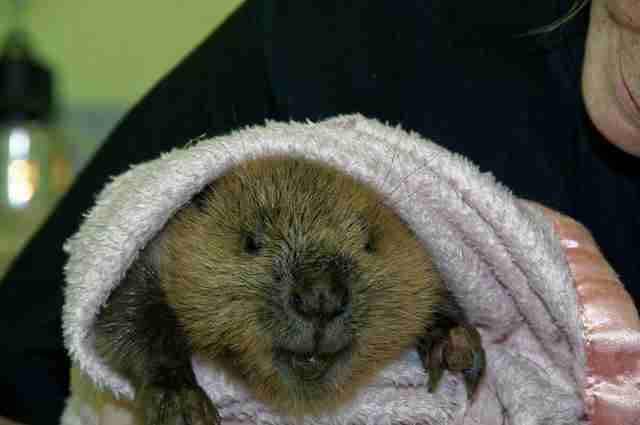 The Scottish SPCA responded to the call and collected the little beaver, then brought him to its National Wildlife Rescue Center. 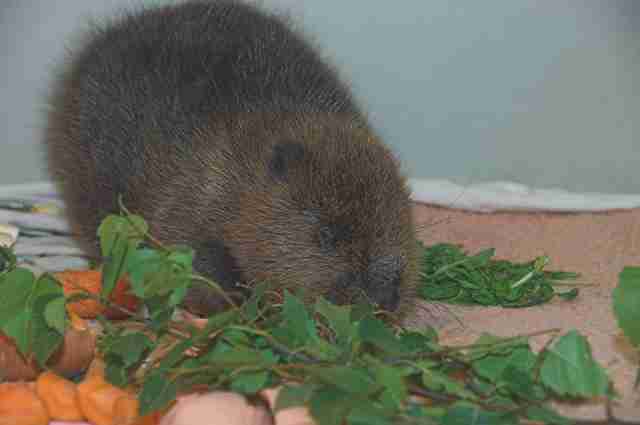 Staff at the center decided to name the beaver Timber, and immediately set about feeding him and tending to his injuries. Due to Timber’s age, his stay with the Scottish SPCA will be quite the extended one, even once his injuries have healed. He will likely be with them for two whole years. … and has already made himself very comfortable in his new temporary home. “We’ll release Timber back into the wild with the landowners’ permissions along with the appropriate licenses once he is matured and ready,” Seddon said. 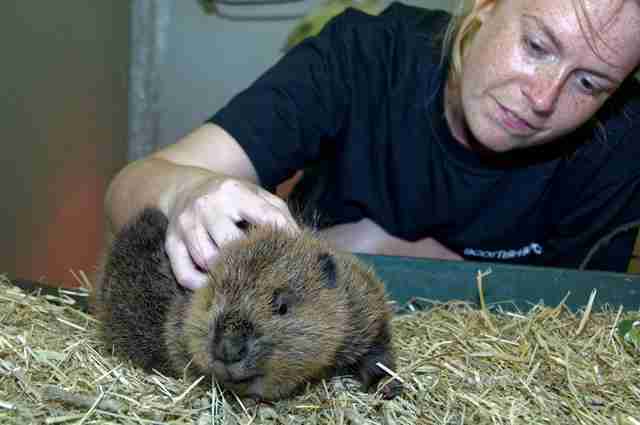 To help other lost and injured animals like Timber, you can donate to the Scottish SPCA.